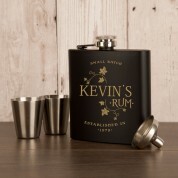 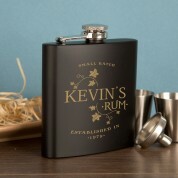 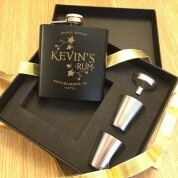 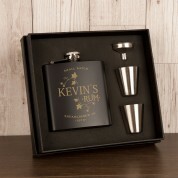 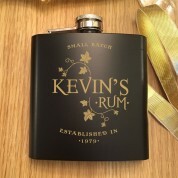 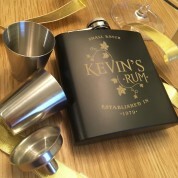 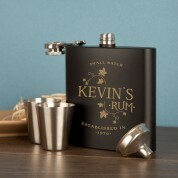 This stylish hip flask is the perfect gift for any rum lover - whether male or female. Our matte black hip flasks are all engraved in-house to reveal a chic design. 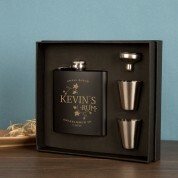 Personalised with the recipient's name and year of birth, this would make a unique gift for members of your wedding party or a birthday gift with a personal touch.